Somewhere down the line, packing your own lunch became really lame. That's why we created the Boar's Head Lunch League: a lunch subscription box that brings that best of the deli to your doorstep. Here's where hungry desk jockeys can sign up for the League, download the app and get a rundown of everything that membership entails. Where it all goes down. 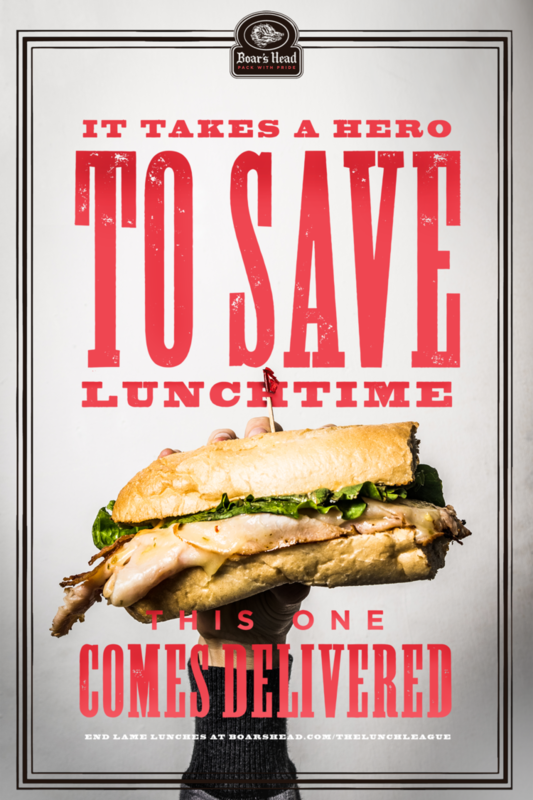 Users can customize their lunch, let Boar’s Head pick it or order their usual. Get a closer look at the copy by clicking on a thumbnail below. These ads will serve as a beacon of hope for any famished employees in fear of 12 o'clock. The office isn't so bad when you pack a lunch you actually like. Why spend your lunch break scrolling through the web when you could spend it looking at banner ads?